WCRE is proud to have exclusively represented JetBrains Americas in the leasing of +/- 4,124 square feet of Class “A” office space located at 10 Lake Center, 401 Route 73 North, Marlton, New Jersey. JetBrains selected 10 Lake Center due to its excellent location off of Route 73 with immediate access to I-295, Route 70 and convenient access to all points in Southern New Jersey and Philadelphia. JetBrains is a technology-leading software vendor specializing in the creation of intelligent development tools. JetBrains is currently 690 employees strong and their tools are used in 140 countries worldwide. 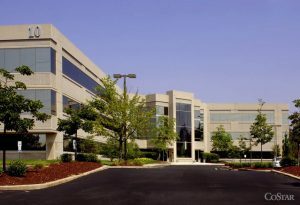 Their new Marlton, NJ office will support US sales operations. The prestigious Class “A” mid-rise office building owned and operated by Tequesta Properties is prominently located in the heart of the Marlton Business district. 10 Lake Center is located near numerous restaurants, retailers, banks and other amenities. John Mozzillo, Senior Associate of WCRE, exclusively represented the tenant in this transaction.